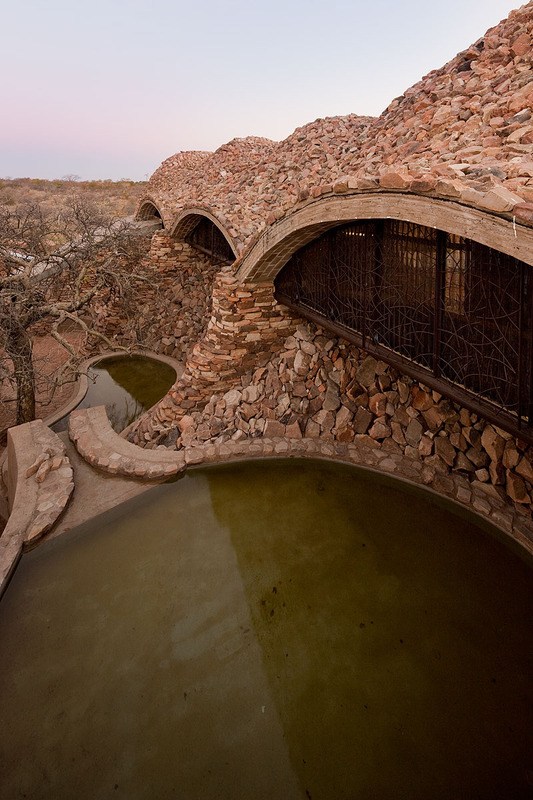 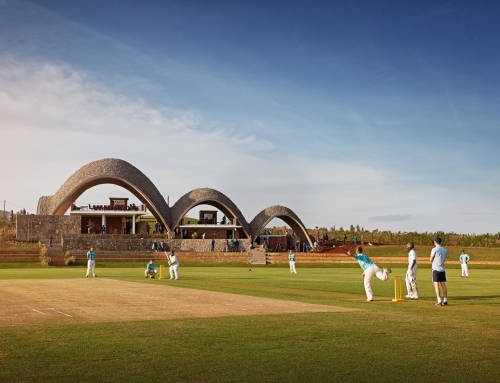 Sited at the confluence of the Limpopo and Shashe Rivers, in northern South Africa, the Mapungubwe National Park celebrates the site of an technologically advanced ancient trading civilization in the context of a natural setting. 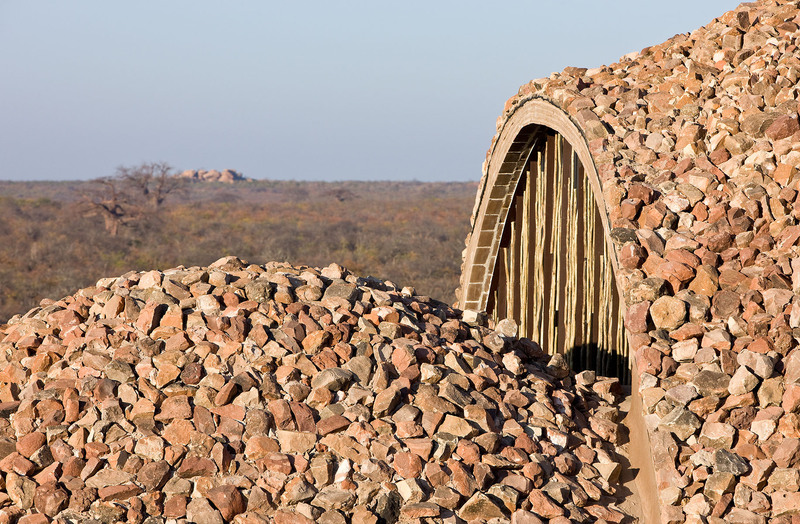 The complex rocky landscape was both the inspiration for the design and the source of the materials for the construction of the new Interpretation Centre, resulting in a composition of structures that are authentically rooted to their location. 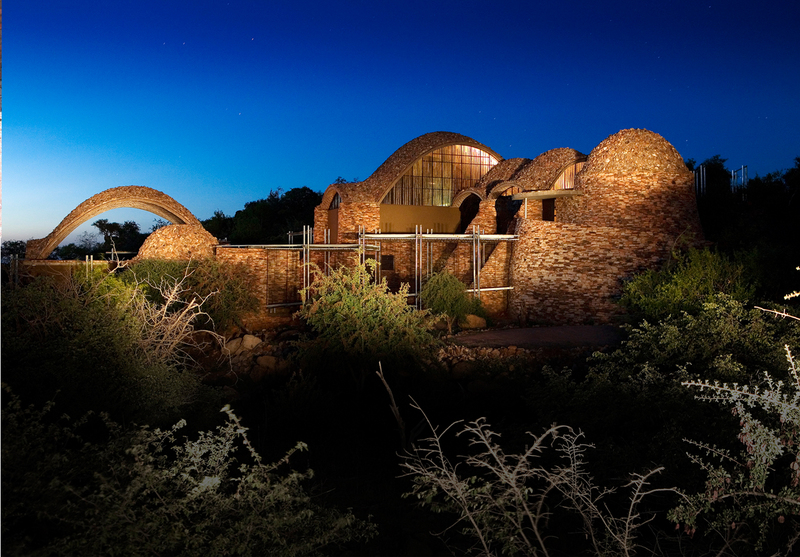 The building, set at the foot of a mesa at the park entrance, is visually contained by three hollow cairns that evoke rock route-markers commonly found in Southern African cultures. 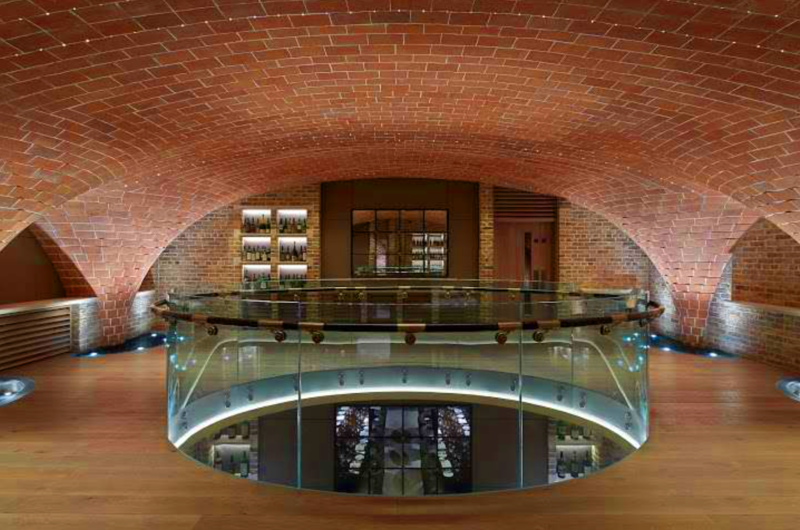 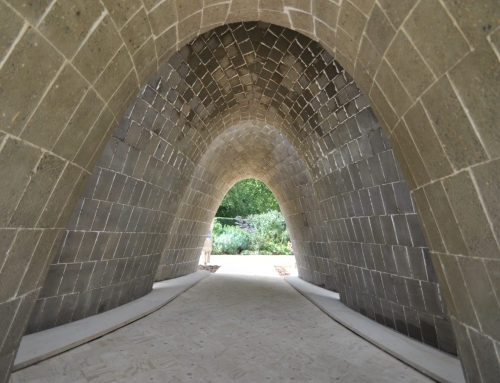 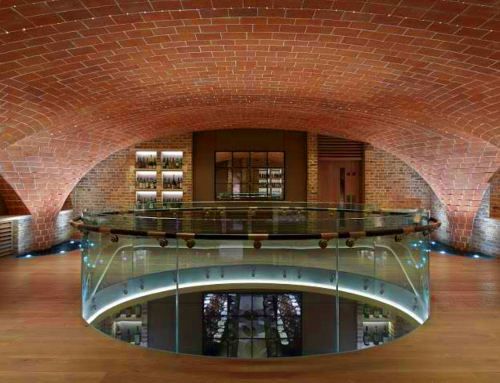 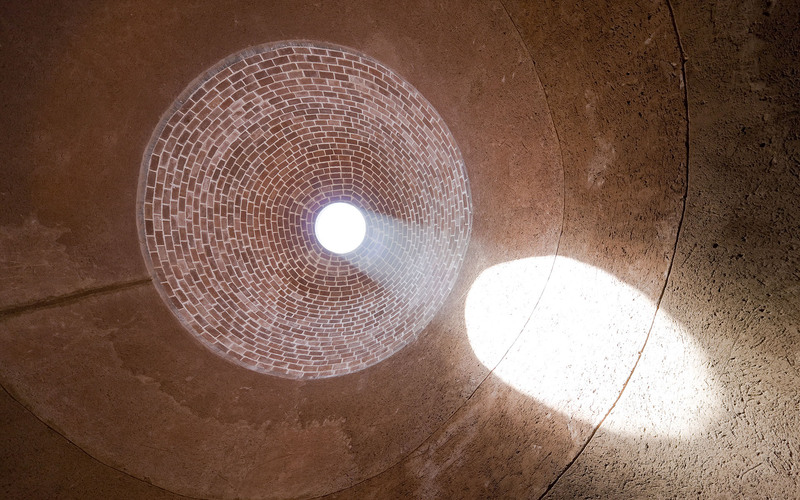 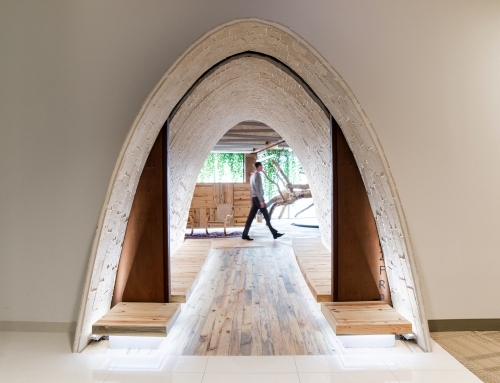 Timbrel vaulting, a simple expression of natural forces and materials, is used to construct dramatic cave like spaces. 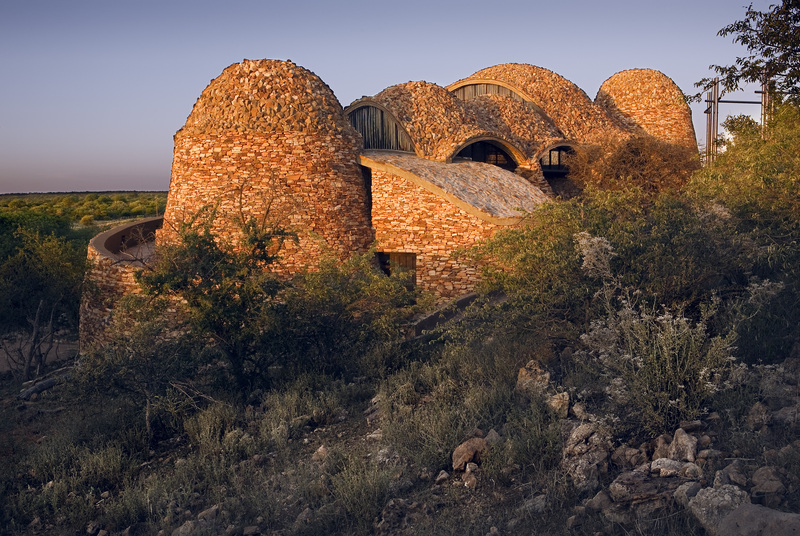 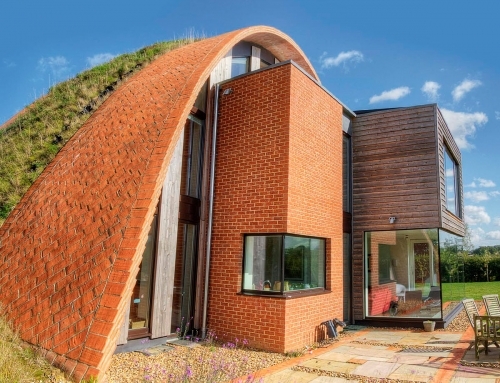 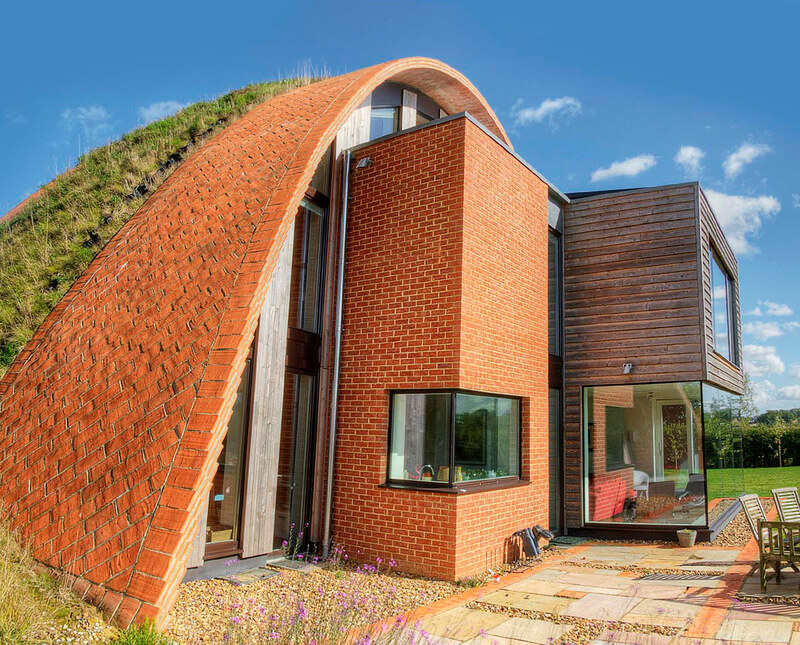 From a distance the undulating rock clad vaults blend into the landscape. 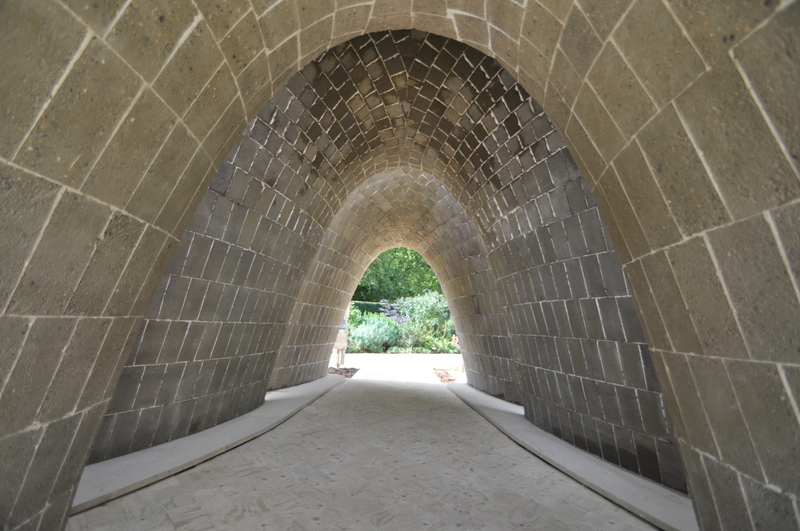 On approach the thin arched edges are exposed and the vaults soar and seem to billow out of the earth. 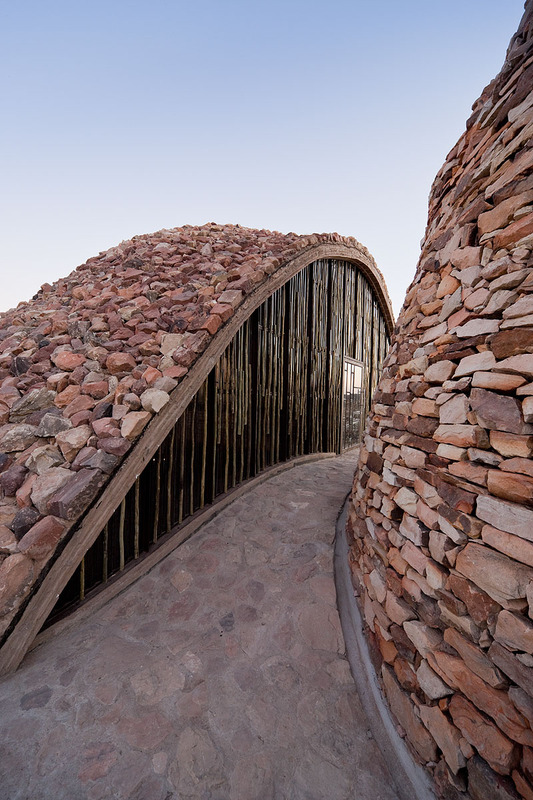 Delicate walkways create a zigzagging ramped route through the complex, through exhibition spaces, gently climbing the mesa to the highest point on the site, providing the visitor with a multiplicity of experiences and views, evoking the complex social interactions of the many cultures that have traversed the land. 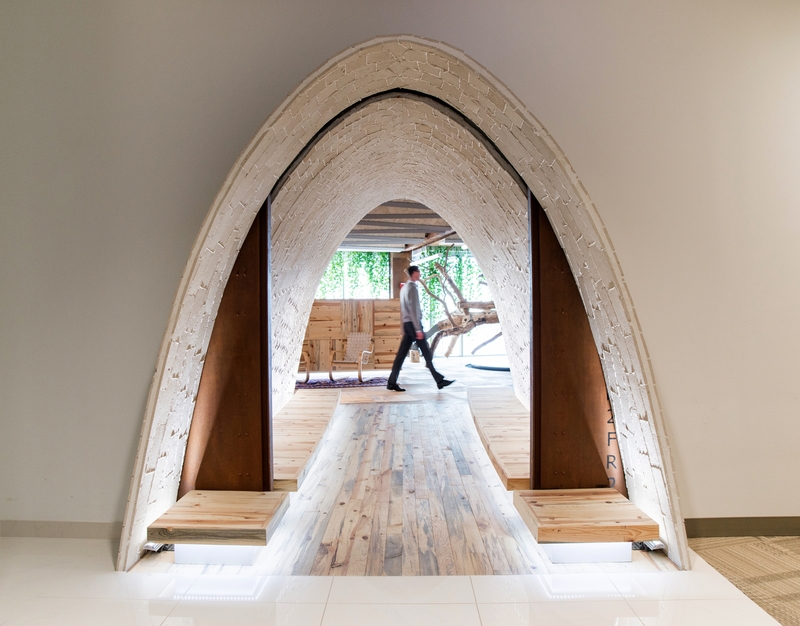 The project’s agenda extends beyond the presentation of the area’s history to awaken an understanding of the vulnerability of the local ecology. 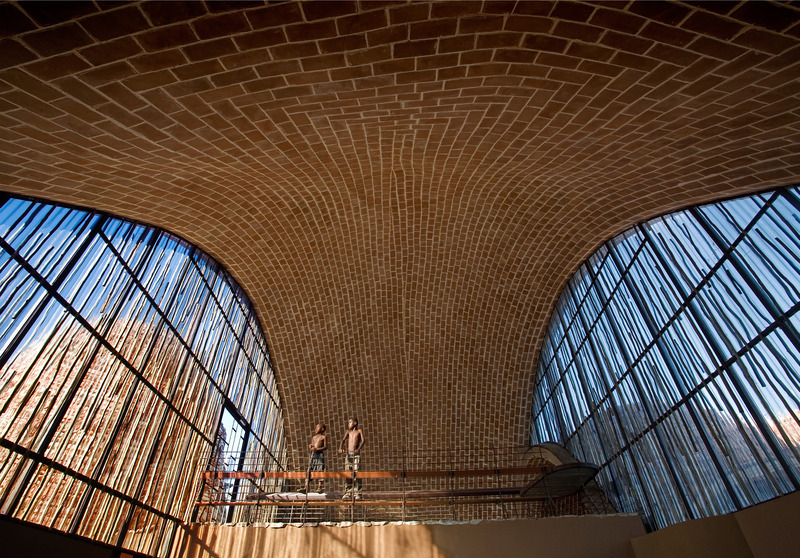 These objectives are manifested in the construction process of the Centre in which unemployed local people were trained in the manufacture of stabilised earth tiles and in building the timbrel vaults. 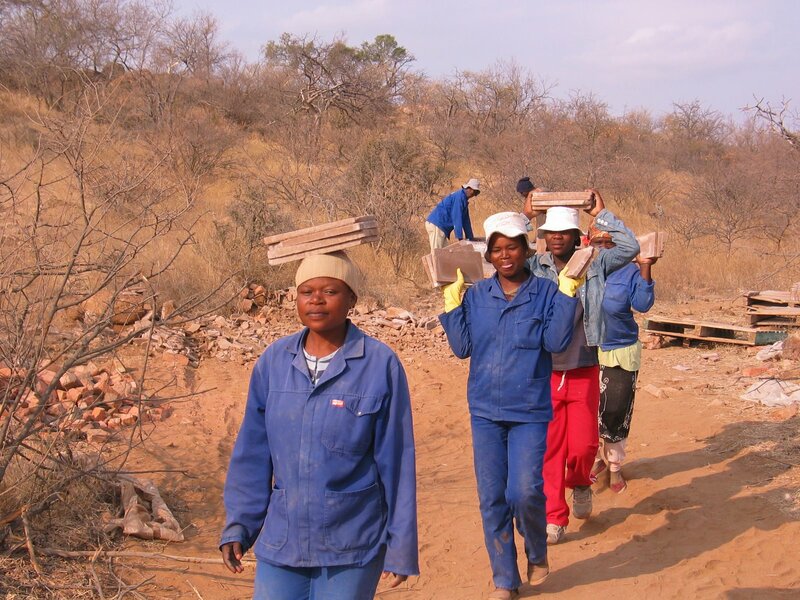 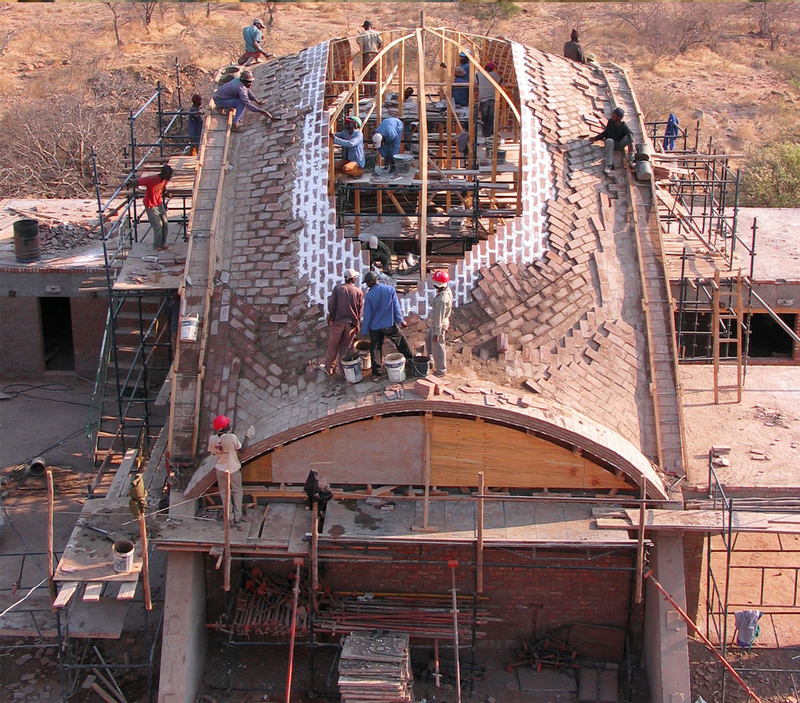 The masons have continued to use these skills by using the remaining tiles for their houses in nearby villages. 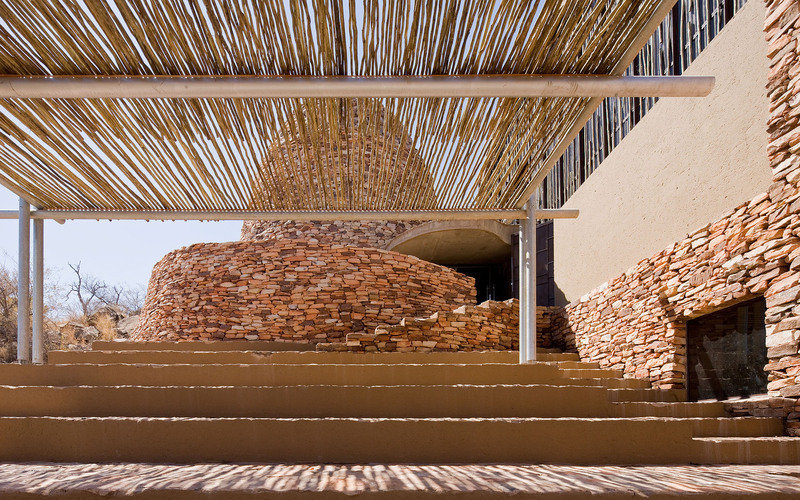 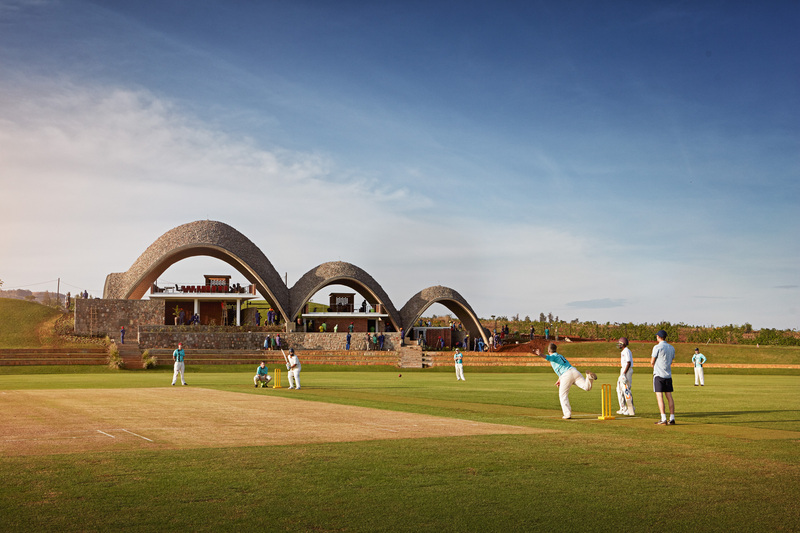 Thus, the Centre is not only emblematic of the site, Africa and its unique place in the origin of the world become part of a story that is still unfolding, of culture developing in symbiosis with its natural legacy.